Russian ombudsman supports mitigation of legislation concerning extremism crimes | Russian Legal Information Agency (RAPSI). MOSCOW, August 17 (RAPSI) – Russian Commissioner for Human Rights Tatyana Moskalkova has told journalists that she supports the idea of mitigating an article of the Criminal Code concerning punishment for extremism. According to the ombudsman, it is important not to artificially increase the number of convicted people. However, she believes there is no violation of Russian Constitution in this case and that problem should be resolved by usual legislative means. Earlier, a prominent online company mail.ru group has contacted the ombudsman over the matter of criminal prosecution for likes and reposts on social media as part of criminal cases on extremism. 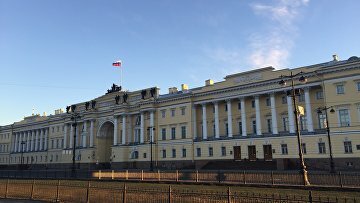 Specifically, she was asked to formulate an appeal with the Constitutional Court of Russia seeking to examine legal basis of the Criminal Code article and whether or not it contradicts the Constitution. 14:59 17/08/2018 Russian Commissioner for Human Rights Tatyana Moskalkova has told journalists that she supports the idea of mitigating an article of the Criminal Code concerning punishment for extremism.